The Los Rios Community College District celebrated its 50th anniversary with a gala dinner and awards ceremony honoring chosen alumni and major contributors Friday. The Los Rios district was first incorporated in 1965, joining the already existent Sacramento City College with American River College. Friday’s event was put on by the Los Rios Foundation and took place at the Sheraton Grand Hotel in downtown Sacramento. Each of the colleges chose one alum and one or more donors to honor. 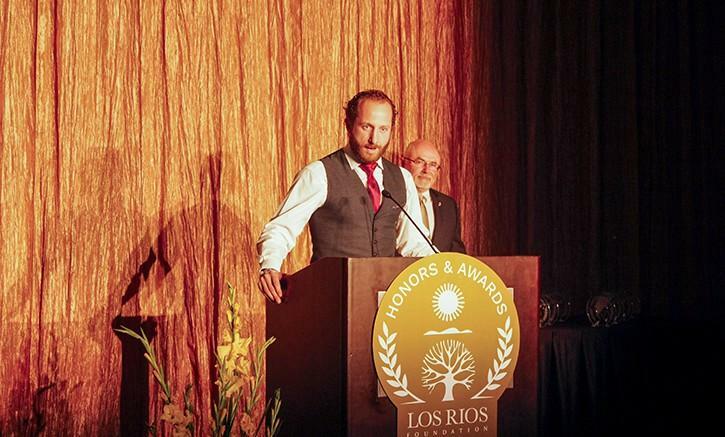 The ARC alumnus awarded at the ceremony was Dallas Braden, who pitched a perfect game for the Oakland Athletics on May 9, 2010 and played for them for 4 years. Braden, who graduated from ARC in 2002, credited his experiences on the school’s baseball team with his success later in life. Los Rios Chancellor Brian King said that each of the individual college foundations took the lead in choosing both the alum and donor honorees. Fred and Molly Evangelisti were the two donors who were awarded at Friday’s ceremony. The couple, who according to DuBray are the largest donors in the college’s history, provided money for the building of the new Culinary Arts building that opened in January. Molly, whose great, great-grandfather founded the Sacramento Bee, said that she was taught by her family the importance of giving to the community. King reflected upon being the district’s chancellor during the anniversary during a reception before the gala. “It’s an awesome time for a celebration and it’s amazing to honor the outstanding alums and those who’ve been so supportive of the students,” said King. It was following supper in the grand ballroom that the awards were given and the honored alumni and donors had the opportunity to speak. California Chief Justice Tani G. Cantil-Sakauye was honored by her alma mater, SCC, and received the largest applause of the night. She said that her speech and debate adviser, Ken Lynch, helped her on her path toward becoming a lawyer. The donor honored by SCC, Carol Spurgeon, is the mother of ARC English professor Michael Spurgeon. The elder Spurgeon said she set up a scholarship at SCC as a way to honor her parents, who attended the college in the 1930s. Although not one of the honorees, ARC nursing student Vita Kotyay spoke to thank Los Rios Foundation members for scholarships she has received. Concurrently taking classes at ARC and Sacramento State University, Katya said that the money has given her the opportunity to witness an open heart surgery. “What a great honor it is for me to have my life interact with people who are not statistics, but whole stories,” she said. The other alumni honored at at the gala were Cosumnes River College alumnus Scott Syphax, the CEO of The Nehemiah Companies, a real estate development firm, and Folsom Lake College alumnus Ryan Wood, a partner with the Stoel Rives law firm and a veteran of the Iraq War. The other donors honored were Merrilee Engel, the former president of Cosumnes River College, and Sevy and Neva Cimaroli, who contributed the money to Folsom Lake College that allowed the school to build a theater arts center. 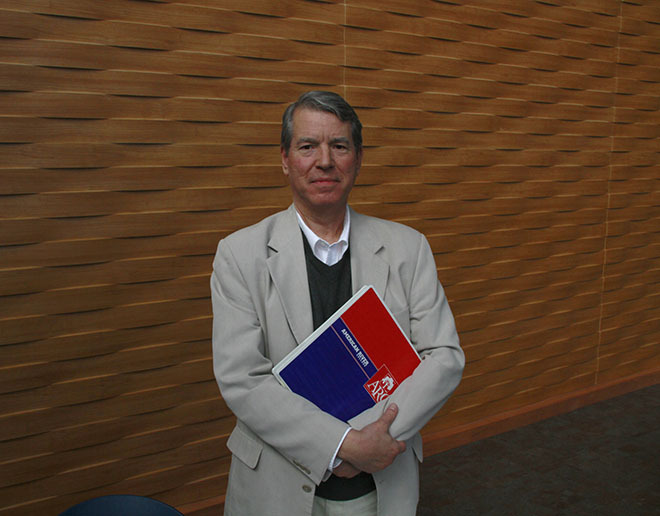 Brian Morris accepted the award on behalf of the Cimaroli’s, who died in 2009 and 2014, respectively. He noted that his aunt wanted her name off of a plaque on the ticket office dedicated to her on the school theater building. Sponsors of the event included Kaiser Permanente, SMUD and Clark Pacific, an architectural company. The gala dinner and awards ceremony ended with an announcement that there will be another event at the Sheraton Grand on April 22, 2017 celebrating the centennial of the founding of SCC. Be the first to comment on "Los Rios celebrates 50th anniversary by honoring alumni at gala dinner"